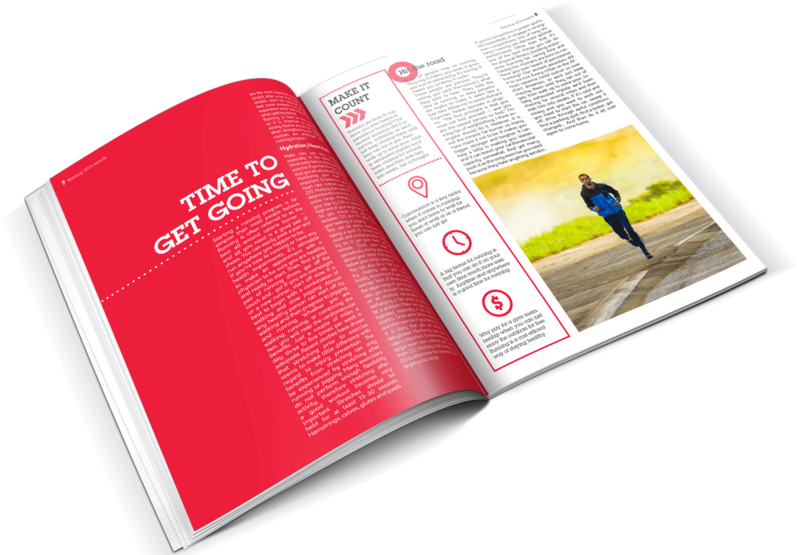 Warm up magazine is a publication that shares information regarding the latest news in fitness. This issue features Lindsey Maker, a new comer in the fitness industry, as well as other side stories to fit the theme of the magazine. The colors used in the design are bright colors varying in hue, and are used against white and black backgrounds. The logo is a type logo with a circle icon that can change in color and is used throughout the design in varying size. Photography is used flat as well as cut out on colored backgrounds to add depth to the design. The colors and the backgrounds used change from page to page to keep the viewing experience fresh. The type is forward thinking and easy to read and keeps a solid visual hierarchy on each page. This magazine is very fun to look at as well as a great source to find the best fitness information.